artsy bulls**t , a total waste of time . it seems as if Israeli directors had learned the trick -diss Israelis and Jews , and earn the love of some European critics .this bruno dumont wannabe is no different ,avishai sivan had made one of the worst films i have ever seen .everything in this movie screams " hey , i am an important director " .i mean, this guy is so f***ing Pretentious its ridiculous .It is unfortunate for us Israelis, to have that problem with many of our Israeli directors. as an Israeli i can tell you that this so called "film" does not reflect the Israeli atmosphere . 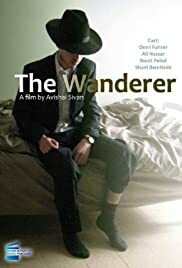 the wonderer from 2010 is a bad film .dont even bother to watch it , its so boring it would make you wanna sleep .